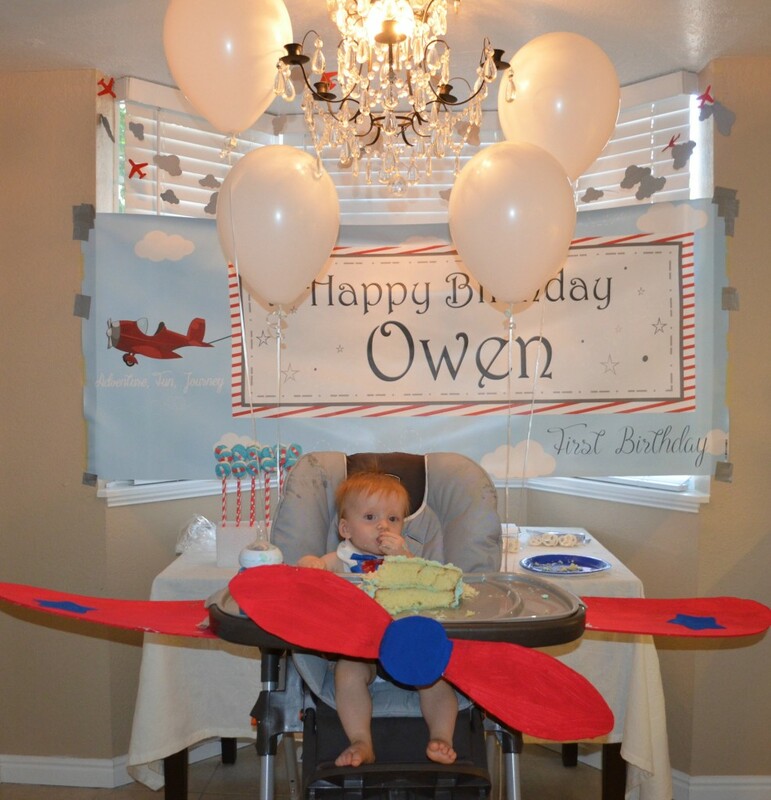 I wanted to create a fun and cheap airplane first birthday party for my son. I wanted to do everything on my own and had such a fun time doing it. 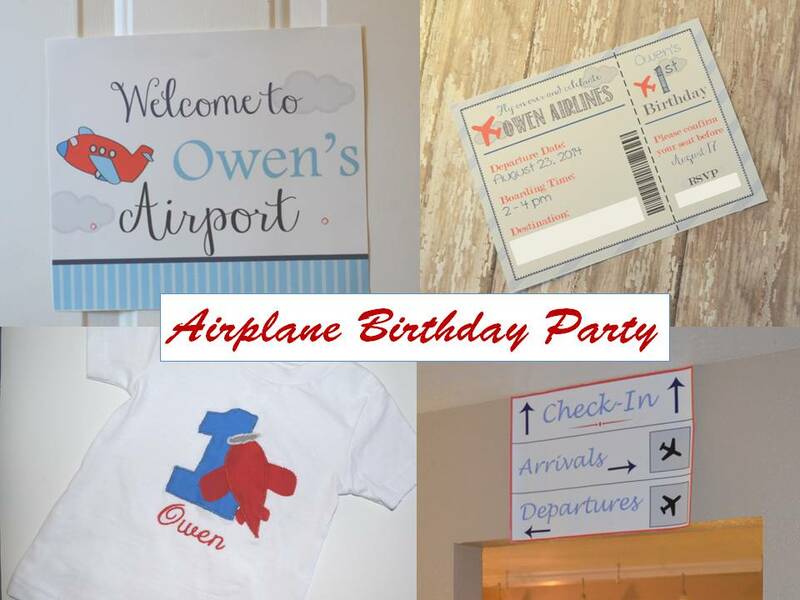 I wanted to create an airplane birthday celebrating this first year being an adventure and I wanted to incorporate red and blues. 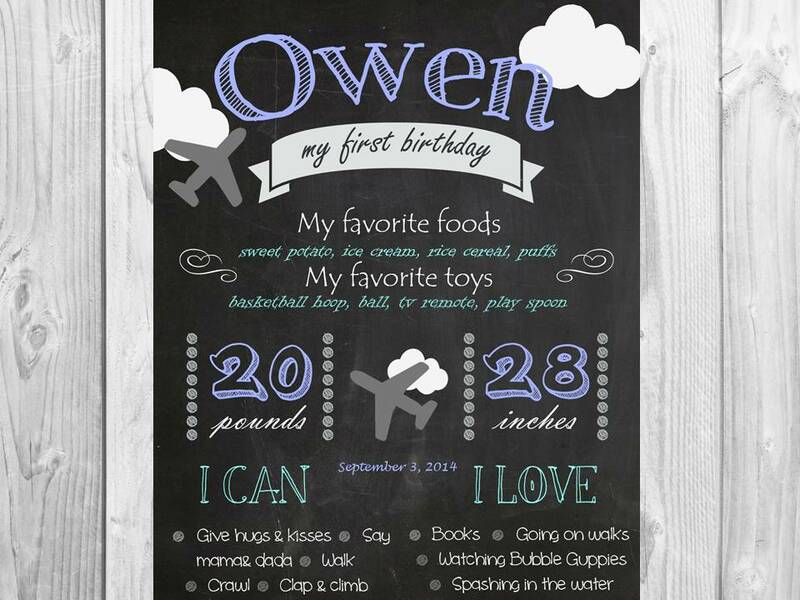 My favorite item was the airplane high chair. My sister and I were decorating and we thought, "we should turn the high chair into a plane for his cake smash"! 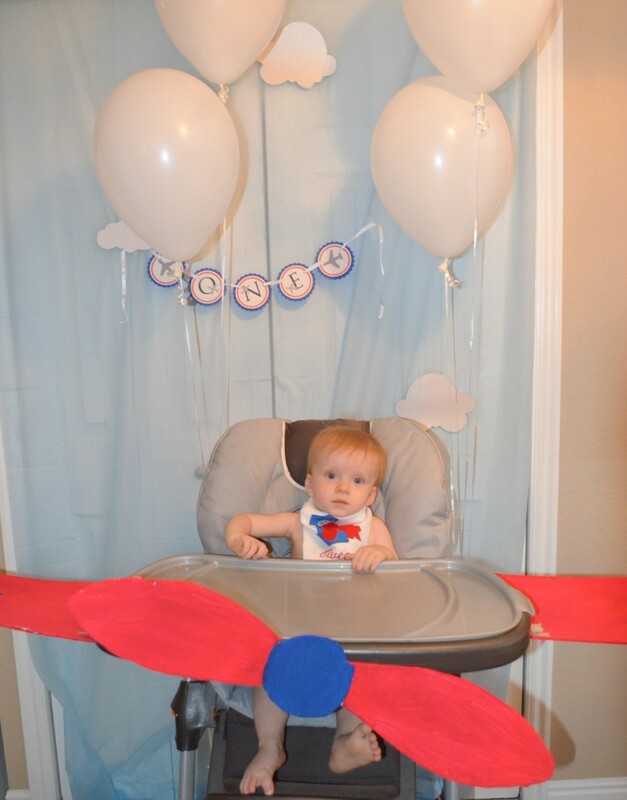 We used foam board and cut out wings and a propeller and taped them to the high chair and used a blue tablecloth for a sky looking backdrop. 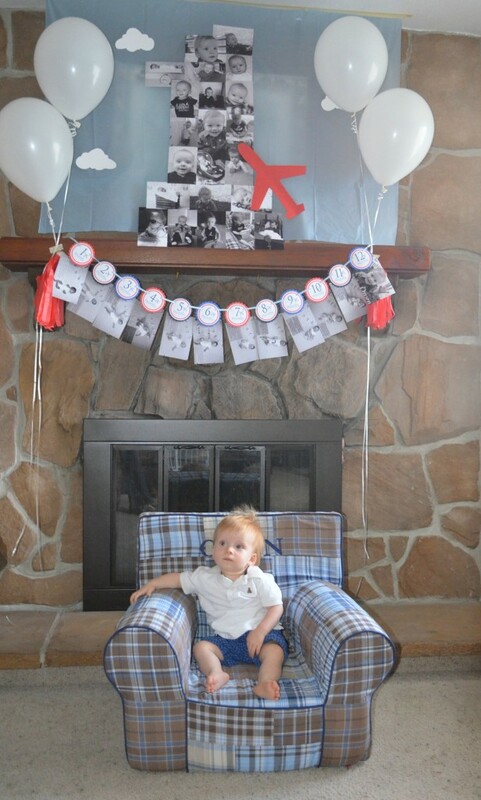 Find an area you would like to create a sky backdrop (I used blue tableclothes from the Dollar Tree over my fireplace and in front of the kitchen pantry), add some cut out clouds and planes, then layer something in front (food, more planes, picture etc) and you have a cute airplane focal point! Nice to see a cute and well-executed party that’s simple and inexpensive!